Little Bluebell: Ever wonder about Sour Punch? Do you ever wonder what happened to the string quilt I started this summer? The one based on a Gwen Marston pattern? You can catch a glimpse of it on the Stash books blog today and see it a lot further along than it was in June. Why isn't it finished? Well, I learned an important lesson making that top. 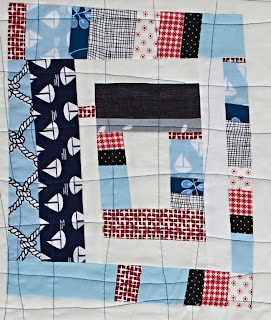 I learned that sometimes going with the flow will result in a tall skinny quilt instead of a average sized lap quilt. Oops. It needs a little beefing up if I want to cover both sides of me at the same time. Soon my pretty, soon. On the Stash blog post, Alison wrote about improv. I demoed the improv string technique at a recent guild meeting and at the same meeting, we got to see Alison demo her log cabin blocks. It was so inspiring to see her work. She just goes for it and I love that about her. Working without planning is the hardest part for me. I needed lots of hand holding and some good natured teasing. I ended up having so much fun and I even made the log cabin block below. Yes! It felt great. Do you know what saved my sanity? Color placement. As long as I could choose the colors, and choose how they went together, I was happy. I didn't need my ruler, diagram, cutting list and measurements. 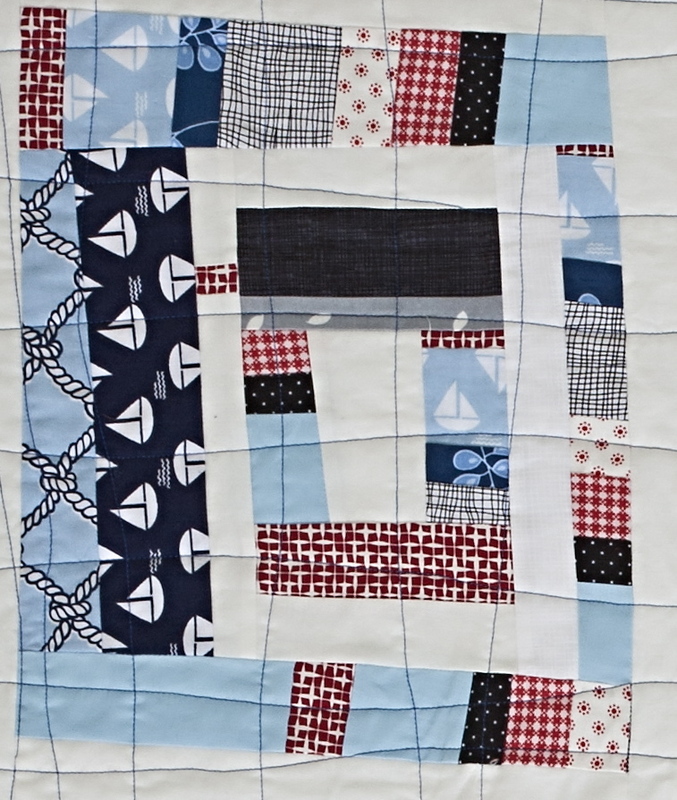 See that strip, the very left of center (red gingham, black with white pin dots, baby blue solid)? THAT is my favorite part of the whole thing!!! Do you have any improv tips? Paper bags? Piles of scraps? Glass of wine? I'd love to hear. I think the most important thing I've learned is that to free yourself, you have to get over the idea that what you're making has to be a specific something. That specific something can kill your creativity. If you let the item be potential fabric for any something, you release yourself from pressure for it having to look a certain way or fit a certain style. You decide what it'll end up as much closer to the end. Then, after you're 'freed', you can start projects with a little more of a definite item in mind. Your Sour Punch quilt totally had me fooled! I think you can improv with the best of us! Great post! Thanks from the Stashbooks Blog! It turned out great. I like the color combo. 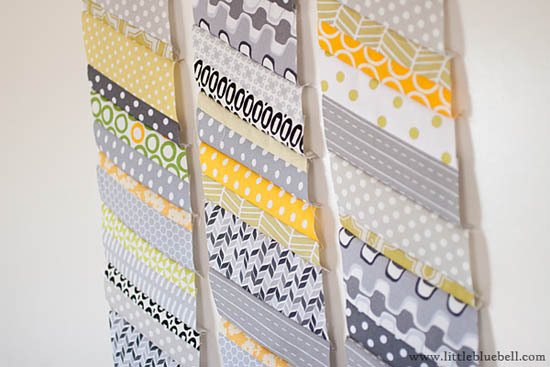 I had to do the opposite with the Scrappy Stash QAL. I got to pick what size piece I wanted to use by either picking out the width or chopping it up. I didn't get to pick the color-self imposed rules there :) It made my brain hurt but I really like how it all turned out. I usually do more my kind of improv which is make up the pattern. My brain likes that better, hahaha.